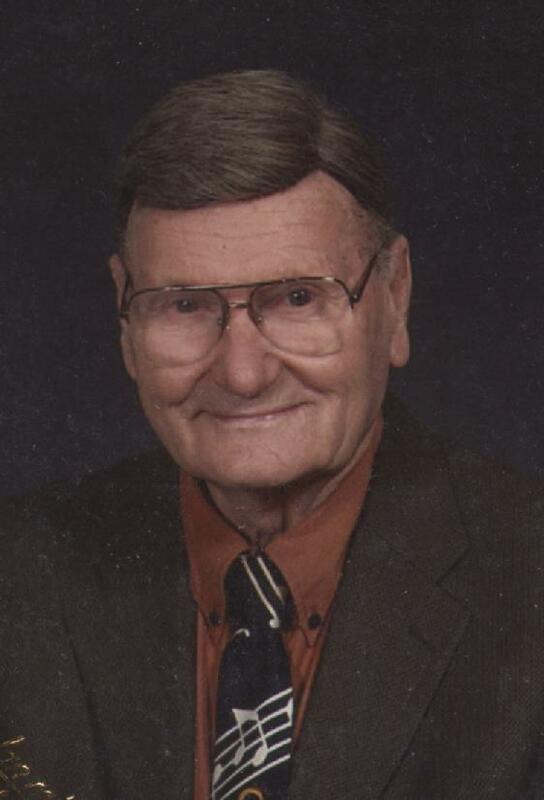 Jimmie L. “Jim” Lammers, age 88, of Huntingburg, passed away at 1:46 a.m., Tuesday, September 18, 2018, at Memorial Hospital and Health Care Center in Jasper. He was born October 28, 1929, in Huntingburg, to Enos and Lela (Blemker) Lammers; and married Norma Hagen on March 20, 1955, in Terre Haute, Indiana. Jim was a member of the Huntingburg Happy Hunters Class of 1947. He lived his entire life on a farm raising livestock and farming. In addition to agriculture, one of his other passions in life was playing the trombone. Jim was an original member of the Santa Claus German Band, played with Willie Bartley, and finished his musical career with the Crawford County Community Band. He was a member of the Huntingburg United Methodist Church, the Methodist Brass, and the Celebration Singers. Jim also enjoyed watching his grandchildren compete in 4-H Fair and sporting events. He was preceded in death by his parents; one daughter, Karen Lammers; and two brothers, Don and Bobby Lammers. Jim is survived by his wife, Norma Lammers of Huntingburg; two sons, Mike (Mary) Lammers and Brian (Ann) Lammers both of Huntingburg; five grandchildren, Lance Lammers, Beth (Matt) Smith, Jordan (Nicole) Lammers, Brianna Lammers and Justin Lammers. Funeral services for Jim Lammers will be held at 11:00 a.m., E.D.T., Saturday, September 22, 2018, at the Huntingburg United Methodist Church with burial to follow at Fairmount Cemetery in Huntingburg. Pastor Lee Campbell will officiate at the service. Friends may call for visitation from 5:00-8:00 p.m., on Friday, at the Nass & Son Funeral Home in Huntingburg; and also at the church on Saturday one hour prior to the funeral. In lieu of flowers, memorial contributions can be made to the Huntingburg United Methodist Church.